Reports about every aspect of food and the culture it stems from, both practical and anecdotal, and naturally all the most important recipes of Spain's various regions open up a culinary universe that you can capture in your own kitchen. Spain - its cuisine is as colourful as the country is large. While to the north the traditions of the wandering herdsmen are still maintained and tracking dogs search out truffles, exotic fruits that entered the country with the Arabs flourish in the south. 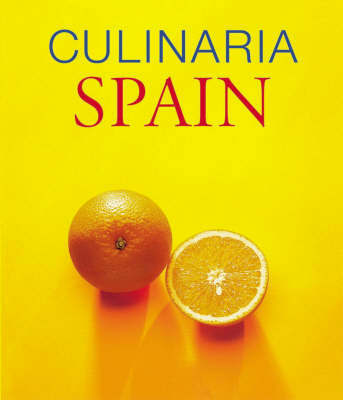 This Culinaria title whets your appetite to explore Spain with all your senses. It describes an incomparable panorama of cultural and culinary traditions, as well as an overview of the most important winegrowing regions of the land. Its 488 pages and more than 1,200 photographs clearly illustrate how landscape, climate, and various cultures have left their mark on the diverse cuisine of the country - from Alboraya in the Levant to Zaragoza in the north, from the omnipresent garlic mayonnaise alioli to zamburina mussels. More than 200 recipes drawn from every region ensure that the fascinating reading also becomes a feast for the palate.